The main character in the film PHOENIX by the 2nd General Lyceum of Igoumenitsa is a young girl who finds herself into a dead end. This leads her to a decision to end his life. But small events make her change her mind and see the bright side of life. Small things that take her off! Despoina, who stars in the film, could never have imagined that her “digital take- off” could become real! And that happened when the film PHOENIX was selected, by the persons in charge of the Ministry of Education and Culture of Austria, to be screened at the Award Ceremony of the Media Literacy Awards for students, which takes place every year in Vienna. Despoina, representing all students who created the film, had the unique chance to take her first trip abroad, and especially in magical Vienna, to present the film and talk about it in front of a crowed screening place. And she made this trip thanks to the participation of the film at the 14th Camera Zizanio, were it won two awards and afterwards the coordinators of Camera Zizanio send it to several Festivals abroad. 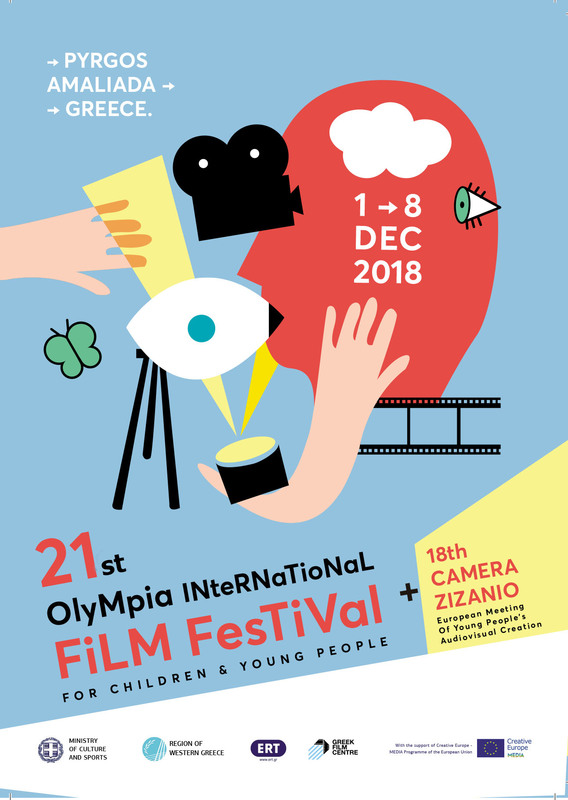 In the following video Despoina, along with her educator, present their film at the Theatre DSCHUNGEL WIEN (November 5), while Lito Theodosiou speaks about Camera Zizanio. The next edition of Camera Zizanio, that will take place from November 20 to December 5 in Pyrgos, can serve as a springboard and for other youngsters to realize the dream of a trip abroad.